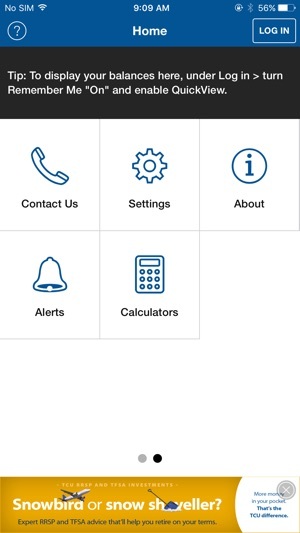 Instant, easy and secure access to paying your bills and transferring money with TCU’s iPhone app. 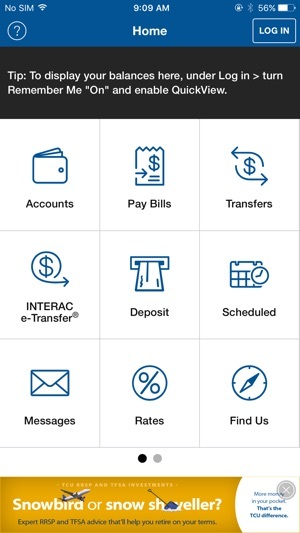 View your account balances onscreen without even having to log in! 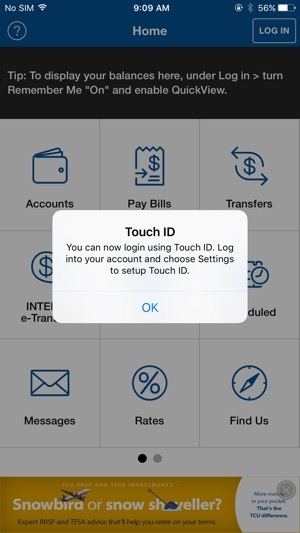 To take advantage of the full functionality of this app, you must be registered and have logged into Online Banking. You log into the mobile app with the same membership details and once you log out or close the app, your secure session will end. If you are not signed up for Online Banking, call MemberLine at 1-877-828-4343 or visit your local branch. If you are not an Online Banking member, you can still use the Branch/ATM locator, Rates and our Contact Us information. There is NO FEE for the app but mobile data downloading and Internet charges may apply. Check with your mobile phone provider for details. Your security is our priority, which is why our mobile banking app uses the same level of secure protection as our full Online Banking website. Use of TCU’s mobile app is subject to the terms and conditions listed in the Direct Services Agreement and can be found on our full website. It’s a great, solid, functional app. The only downside is there isn’t Apple Pay yet! If it had Apple Pay I would rate 5/5. App looks and feels old, time to rewrite it and bring it and your website into the present. Can't save login credentials anymore so pain to use. Please fix!! !